At Craftsmen Home Improvements we believe in honesty and transparency. For your convenience we provide free in-home consultations for your home remodeling project. 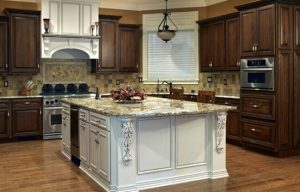 Request a kitchen remodel cost, or how much it would be for us to finish your basement, a bathroom remodel, or other home renovations. Simply complete the form below and we will contact you about your remodeling project or repair. We provide quotes for all of our services. Let us know which service you would like a free in-home consultation for: a kitchen remodel, basement remodel, finished basement, bathroom remodel, siding, roofing, gutters, windows, doors, or other home remodeling service. Contact us with additional questions or concerns.